Most past presidents since the formation of the Fed have left it alone. However, it has long been in need of change. Central banks are an old-world institution that are not operating in favor of the average citizen's interests. Notice how other countries like Italy are also raising alarm by challenging their own central banks. Interesting that Trump is focusing on this issue. It doesn't appear to be a central issue to his 2020 campaign (unlike, say, Ron Paul's presidential bid). I am glad that news agencies are (finally) admitting to themselves that Trump's economy has resulted in growth. I support Trump putting this pressure on the Fed. We can't let unelected officials impact our nation's economy without any pushback. Whether or not this ends up resulting in an improvement, I am happy when our adversarial political system is working as intended. 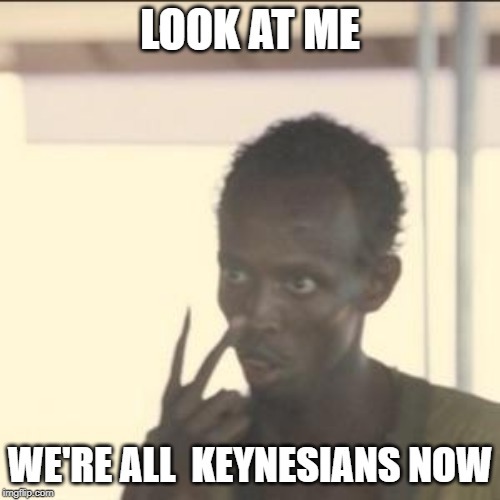 wtf I love Keynesian economics now! It'll be fun to watch the conservative pundits wrap their heads around that one. Pressuring the fed regarding interest rates is fine. Those hikes seemed punitive to try and tank the economy just to forsake Trump. I don’t agree with stimulus though. I don’t feel like we are in a place to need it. Just dial back interest rates a bit. Snippet doesn’t make it easy to understand what exactly Trump wants to the Fed to do. He wants the opposite of quantitative tightening? Is that printing money? I thought he just wanted lower interest rates, which would allow businesses access to capital for expanding sooner rather than later. Maybe it is important. Didn’t the Fed historically maintain low interest rates during Obama’s terms and raise them during Trump’s term? Maybe they are hindering growth. To what end? I don’t know. But the Fed are supposed to be politically neutral. Not that they necessarily are, but they’re supposed to be. The underlying argument has been going on for decades. It's complicated, but here's a simplified version. Basically, current economic orthodoxy holds that central banks, including the Fed, should be mostly independent from partisan politics in order to avoid or at least reduce the temptation to engage in irresponsible financial and banking policies that may lead to high inflation, high unemployment, high debt and other directly or indirectly related problems. The U.S., under both conservative and more liberal governments, has long promoted that sort of arrangement both internally and abroad over the past few decades. If anything, it's been one of the more consistent bits of economic policy regardless of what administration happens to be in power. Based on that kind of stance, the Fed intends to not keep rates artificially low for longer than what is strictly necessary. That is, unless the economy needs another stimulus during a crisis. From that point of view, the fact the economy had largely recovered by 2016 or so (and, yes, has kept growing under Trump) meant the Fed finally wanted to begin raising interest rates in a gradual manner. But, for the record, that was always their medium-long term goal, not some sort of reaction to the election. 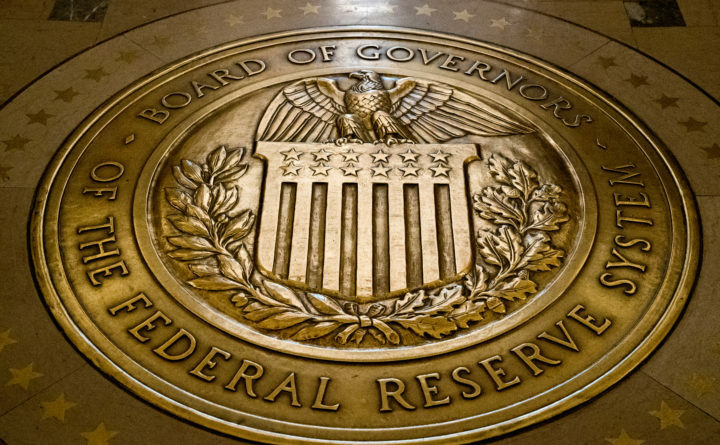 Right now, the Fed has decided to slow down the interest rate increases, but it is expected that they will resume in due time. Should the Fed change tracks right now? That's a hard question to answer and, naturally, depends on what are your core economic policy beliefs, as well as how much you trust the administration vs. the Fed. with heightened interest rates is just letting the bankers take their short term profits instead of letting the economy grow and wages increase. The opposite is quantitative easing i.e. large scale asset purchases. There's no money printing. The Fed created reserves electronically. I don't know why Pres. Trump cares so much. Financial institutions cannot lend out reserves to the public. So, it's not game changing policy for the vast majority of people who voted Trump or for the Democrats. If you're an American who was able to hold on for the past 10 years, you didn't survive because a bureaucrat decided to buy securities on the open market. I don't think it's all that important. Manipulating the federal funds rate matters in the sense you can't just dramatically hike it but Pres. Trump is exaggerating. A lot is going on around the world. Plus, the US by itself has ran a $8.7 trillion deficit from 2009-2018 to help people out. You wouldn't have the economy you see today if central banks around the world were dragging their economies down and the US was hindering growth on the fiscal side. A lot of different factors have to compound on each other to be more than a nothingburger. The main problem with the rate hikes so far is that the justifications don't hold up to scrutiny to me. Plus, the crowd demanding that the Fed raise rates and engage in quantitative tightening have been wailing about a whole bunch of nonsensical things. Hyperinflation, collapse of the dollar, skills gap, Pres. Trump's election crashing markets, etc. So, I'm not sure if Pres. Trump's tweets woke the Fed up or they saw something in the data. But it's about time they stop giving certain people an audience. That crowd's ideas and predictions really weigh America down and hold it back from being the best it can be.